Much recognition is given to visible pregnancy symptoms. Like nausea for example. They physically see you puking so they don’t question the legitimacy of your suffering. But what about pregnancy brain, where you can barely remember what you’ve said seconds ago, or cravings, or moodiness, or the nesting phenomenon, where at 37 weeks, you get an inexplicable surge of energy and motivation to spring clean your entire house, prune every single bush in your garden and sanitize every doorknob and light switch in sight. Now I have set out on explaining these behaviors so they can finally make sense to us all. Research done by MRI scans at the University of Barcelona shows that women lose grey matter during pregnancy and that activity is heightened in areas associated with picking up emotional cues and needs of others – more specifically – our children. (This, however, has no measurable effect on our memory or cognitive abilities.) Ever wondered why you know exactly why your newborn is crying and what he needs when your husband seems to be oblivious? God rewires our brains during pregnancy to be more attuned to our children, but be less attuned to the rest of the world, or even to our own needs. We don’t simply just forget things, our priorities change, on such a deep level that it can be seen on brain scans! A decrease in the production of neurons in the hippocampus (area of the brain responsible for memory) has been observed in pregnant mice, but those who exercised regularly showed no disposition to virgin counterparts. We might not be mice, but it might just be worth it to hit the gym every other day! 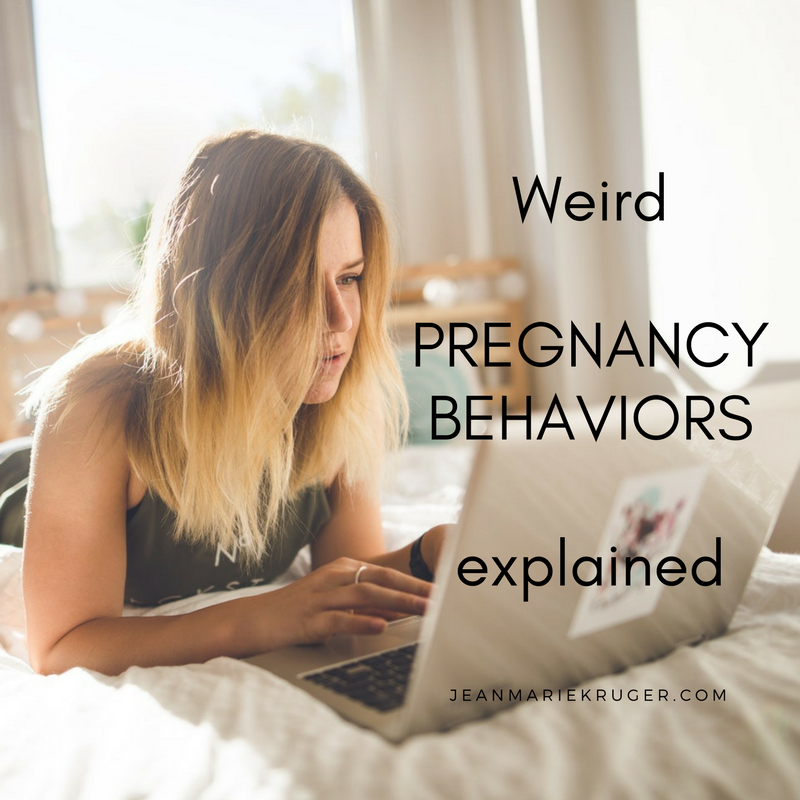 When your brain is flushed with pregnancy hormones, it directly impacts the level of serotonin and other mood-regulating neurotransmitters in your brain. The same can be observed when we are severely pms”ing. As our hormone levels fluctuate, so do our neurotransmitters and so does our mood. Serotonin deficiency can make you feel that you are not coping. With anything, whatsoever. Not the best position to be in with a toddler on your hip and a baby in your belly. Remember that this is too, is completely normal. Taking Omega 3 Oils, probiotics and doing exercise can go a long way in keeping the rage under control. Research done at McMaster University in Canada found that it is a built-in urge to prepare for and protect your unborn baby. They also found that during this time, pregnant women are more selective of the company they keep. This is often also accompanied by not wanting to leave the house later in pregnancy. We revert right back to our mammal instincts before our babies come!